The ICAR should be given statutory powers to regulate and set minimum standards for varsities similar to Medical, Dental, or Bar Council of India. Agricultural education in India has registered huge expansion in quantitative terms during the last two decades. At the start of this century, there were about 35 agricultural universities. That number has more than doubled to 75, of which 15 are exclusively dedicated to veterinary and animal sciences, five to horticulture and forestry, three to fisheries and one to dairy. 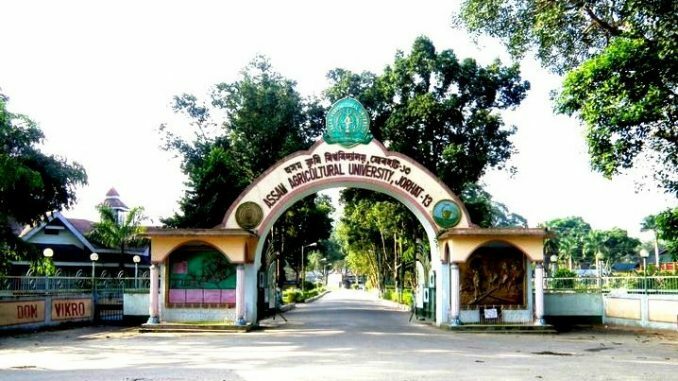 In addition, there are some 159 private agricultural colleges affiliated to State Agricultural Universities (SAUs), besides a recently opened private agricultural university in Bengaluru as well. Guru Angad Dev Veterinary and Animal Sciences University, Ludhiana; Y S Parmar University of Horticulture and Forestry, Solan; and Rajasthan University of Veterinary and Animals Sciences, Bikaner – figured in the top-100 list of the Ministry of Human Resource Development’s National Institutional Ranking Framework (NIRF) for 2017. There is also evidence of declining standards of both faculty and facility in many universities. And that is reflected in the quality of students coming out. Out of the 30,000-odd graduates annually appearing for the ICAR-National Eligibility Test — a basic prerequisite for recruitment as lecturer/assistant professor in SAUs — less than a fifth manage to clear it. Feedback from stakeholders, too, reveals our agricultural graduates, especially from the newer institutions, to be largely unemployable, with very little domain knowledge, practical exposure or skills to meet emerging market needs. At the core of this decline is agriculture — which includes agricultural education — being a State subject. Among other things, it has led to non-uniformity and dilution of standards. In many states, not only have new universities been set up, but even the established ones been split in the name of creating institutions specialising in particular disciplines. All this, however, has been done without matching budget allocations, resulting in both the old and new universities being starved of funds and investments. It is intriguing that how certain colleges have come up while barely fulfilling the condition of having minimum 25 acres of land, if within, or 35 acres outside of municipal limits (the requirements are 10 and 25 acres, respectively for hilly areas). The ICAR’s own prescribed minimum standards for agricultural colleges are 75 acres (in plain regions) and 40 acres (for hill, island and coastal regions). But since its standards are recommendatory and not mandatory, there’s nothing stopping new institutions from coming up anywhere and offering agriculture courses with impunity. The ICAR should be made the sole apex body for regulating agricultural education in the country. As a mere registered society today, it cannot exercise powers that other regulatory bodies such as the Veterinary, Medical, Dental and Bar Councils of India are able to, by virtue of their being statutory bodies incorporated through Acts of Parliament. If the ICAR is similarly empowered, it can regulate agricultural education by mandating minimum standards for starting colleges/universities and offering courses. Not only must ICAR accreditation be made mandatory, including for private institutions, graduation in agriculture should also be recognised as a professional degree in order to make it more attractive for youngsters. It should be recalled when the first six SAUs were set up during the sixties, each of them was tagged to a US land grant university: the G.B. Pant University of Agriculture and Technology to the University of Illinois, PAU with Ohio State University, Andhra Pradesh Agricultural University with Kansas State University, Orissa University of Agriculture and Technology with the University of Missouri, Mysore University of Agricultural Sciences with University of Tennessee, and Maharashtra Agricultural University with Pennsylvania State University. The mentoring role assigned to these US universities proved extremely fruitful, in terms of faculty capacity-building and preparing the high-quality human resource essential both for teaching and research. It helped firmly establish the new Land Grant Colleges system in India. What we need today is a similar scheme of tagging the agricultural universities not making the mark with the IARI or SAUs figuring in the top-100 NIRF rankings. This could yield results of the kind from the attachment programme between the first SAUs and the US land grant universities. Currently, the system is suffering from declining numbers as well as quality of teachers. The majority of university faculty has limited exposure to frontier research areas such as agri-nanotechnology and agri-informatics because of outdated curriculum, lack of advanced training and refresher courses, poor farm and library facilities, and obsolete laboratory equipment and infrastructure — made worse by promotions without examination and the ubiquitous ‘sons-of-the-soil” approach. SAUs are at present largely dependent upon government funding. It’s high time they also focus on internal resource generation through consultancy services, alumni contributions, earn-while-you-learn schemes, competitively-selected extramural research and education projects, and offering special courses for mid-career professionals. They can have tie-ups with interested private colleges and universities for extending their laboratory, field and library facilities — for a fee, of course. The top-ranked SAUs can even earn extra, by becoming destinations for students from other countries.